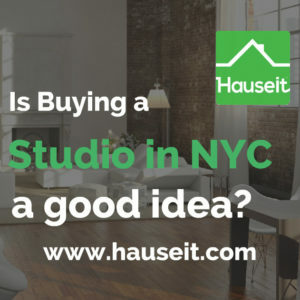 What are the pros and cons to buying a studio in NYC? Is it easy to convert a studio to a one bedroom apartment? Is it easy to resell a studio apartment after you’ve outgrown it? We’ll go over the reasons why and why not to buy a studio or loft apartment in New York City in this article. Why Buy a Studio Apartment in NYC? Is a Loft Always a Studio Apartment? Can a Studio Be Converted to a One Bedroom? Is It Easy to Sell a Studio Apartment? Does the Studio Apartment Have a Washer and Dryer? Studio apartments offer great flexibility and maximal use of space for New Yorkers. Studio apartments are especially appealing to single buyers or couples without children because the lack of walls and separate bedrooms enables an open layout for a maximal sense of space. Studio apartment buyers in NYC will typically ensure that the kitchen has an open layout as well so that the entire apartment is one big open space. Studio apartments are not necessarily small or cheap either. Studio apartments can often be some of the priciest lofts in exclusive neighborhoods like SoHo or the Meatpacking District. Some of these loft spaces are massive, measuring thousands of square feet. Some of these may not have bedroom walls added in, so they are still technically studios. However, most listing agents these days will showcase an alternate floorplan and market the property as having bedrooms. Pro Tip: If you don’t need a separate bedroom for guests or a child, then why waste precious space in NYC? Furthermore, studios typically have lower common charges or maintenance and property taxes than other comparable units with more bedrooms. A loft is not necessarily a studio apartment. A loft can just as easily have separate bedrooms, although these are often created by adding new walls to an originally open layout. A loft is an apartment with an open layout and high ceilings, typically situated in a building that has been converted to residential use. Loft buildings may have been former factories or other industrial use buildings, and as a result will often retain some of their original beams and ceilings. Note: A studio is not necessarily a loft apartment either. Studios can just as easily be located in pre-war buildings with relatively low ceiling heights. A studio can sometimes be converted to a one bedroom apartment if there is sufficient space and windows in the floor plan to allow for the addition of a legal bedroom in NYC. Does It Make Sense to Convert? Typically, for a bedroom in NYC to be considered legal, it will need to have a light and air source and two exits. One of the exits must be a window, and the room itself needs to be of a certain size. Furthermore, you’ll need to see if adding a separate bedroom makes sense given the layout, even if you could theoretically add a legal bedroom. If adding a couple of walls in the studio apartment’s main living area will really hinder your line of sight and the free flow of movement, it may destroy more value than it creates. A studio apartment is traditionally considered harder to sell than an apartment of comparable size with more bedrooms. This is primarily because the buyer base is technically larger for units with more bedrooms. Many buyers will indeed screen for listings that have a certain number of bedrooms, and won’t even consider studios given their need for separate bedrooms. With that said, there are many buyers who will prefer buying a studio in NYC, especially if it is a loft. 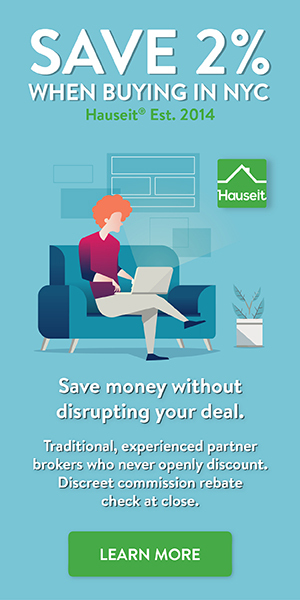 Many buyers will specifically screen for loft or studio apartments during their search as they do not want to waste any precious space on an extra bedroom that they do not need. If you attempting to sell a large loft space with no built in bedrooms, we recommend at least marketing your property with an alternate floorplan to show buyers the possibility having separate bedrooms in your loft space. Pro Tip: Many popular real estate search websites will not have a separate category for loft apartments. They will typically filter listings by number of bedrooms: studio (0 bedrooms), 1 bedroom, 2 bedroom and so on. As a result, it may be hard for you to specifically categorize your loft apartment as a loft apartment, and not just a regular studio. Having a washer and dryer in your apartment is a major selling point for many buyers, especially those with children (i.e. just imagine having to clean diapers). As a result, please remember to check when buying a studio apartment in NYC whether the apartment already has a washer and dryer installed, and if not then whether one can be installed. Even though it is less common for studio apartments in New York City to have built in washers and dryers, many of the larger loft apartments will have them, or will at least have permission from their condo or coop building to install them. Pro Tip: If you’re buying a studio apartment in a hip neighborhood that has been renovated to be the proverbial bachelor’s pad, the washer and dryer may have been removed to create more space, perhaps for a larger bathroom! This happens in reality, so please remember to check with the listing agent on whether a washer and dryer can be installed. Buying vs. Renting in NYC – Pros and Cons | Should You Rent or Buy in NYC?